Brave Little Howl is from the DFW area in North Texas. The band was formed initially by Marc Atkinson and Billy Hale in 2015 in an apartment with two acoustic guitars. Their first recording Make Your Heart Sweat EP was recorded in 2016 in Nashville with Buckley Miller and Michael John Scheuchzer, and released the following year. Over the next couple years the band found their sound: a kind of Wilco-meets-Indie-Rock-meets-the-Eagles sound. Our Lives Aren't Movies, the band's first full-length album, was the result of finding and exploring that sound. The Album was recorded at Redwood Studio in Denton, TX over several sessions from Sept. 2017 through Feb. 2018. The producer was McKenzie Smith from the band Midlake, who has also worked with artists like St. Vincent and Sarah Jaffe. Joey McClellan, also of the band Midlake, was the engineer. "Another highlight from this week’s show was “Tupelo” by Brave Little Howl. A wonderful song from the album." "Our Lives Aren't Movies, out this week, is the first full-length album from Brave Little Howl. 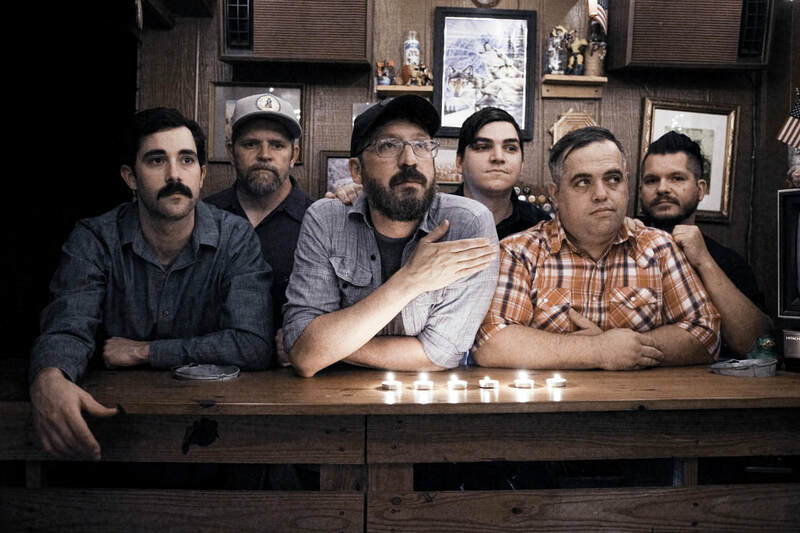 The local Americana indie six-piece has been gigging around Texas for a few years, making richly cinematic tunes that borrow equal doses of Wilco, Mumford and Sons, and The Beatles. The first single off the new release, "Tupelo," has a bevy of instrumentation. Shaky keyboards, shards of guitar reverb and a barrage of percussion lift the track from a pensive opening into a full-blown soaring singalong. Learn the words and warm up your pipes for the band's upcoming tour stops..."
"Brave Little Howl, "Tupelo" Comforting but dramatic and profound, this local group offers a full panorama of roots sounds and rib-sticking American rock." Click to purchase from CDBaby. Click to play on Apple Music. Click to purchase on Amazon Music.